Joking about his ears lets me forget that he is in fact a great actor who has done some seriously good movie work! He has played many different characters in dramas as well, mostly very convincingly and he always delivered: in bad dramas he was the only shining thing, Last Friends and Suppli, come to mind. One of my recent absolute favourites! First I loved his talent and then I recognised how good-looking he is. He really is versatile and acts a lot of totally interesting roles, you never get bored of. I'm looking forward to seeing more of his skills (and beauty X'D). Very sympathetic on screen. I saw him first in Sapuri, then in Orange Days, Nodame Cantabile and at least in Water Boys... He�Ls an actor. In Nodame was really really GREAT. He�Ls not the cutiest but I love him. matsumoto jun doesnt have any talent and yet he's second..
i dont kno what ppl see in that fagget..
Crazy hair and Dumbo ears yet I still find him so attractive. Great varied roles like in Unfair, Loss Time Life, Nodame Cantabile... usually with goofy hairstyles that I only love him more for. 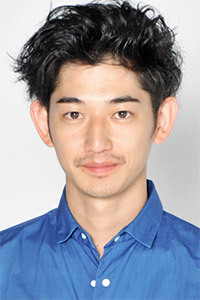 Eita is one of those guys who seems destined to play supporting roles for the rest of his life but man is he ever good at what he does, probably the most underrated young actor on this site. He might not be as hot as those Johnny's kids but has more acting skill in his pinkie toe than in some entire Johnny's groups. He's especially endearing as various quirky characters. i like him in Water Boys and in Nodame Cantabile. bcuz he's so kawaii na in water boys!! !he's mysterious since not much about him is known.he's going to be a great actor in da future. what can i say??!! he is simply awesome! great actor ... he makes me feel each role he plays!! and he is so handsome!!!! eita is the bomb! he can do everything! he's one of those you can't take your eyes off of when he's onscreen. Versatile actor. He is not the very handsome type of actor but he definitely has certain unique charms. Eita may be young but such a versatile actor! I have watched everything he is in, does not disappoint. I can always relate myself to his characters. He plays likable rolls that you cannot hate. Eita is the kind that can act without saying a word. I love to watch this guy, everytime! A mostly supporting actor that should get more attention, a very strong acting talent.